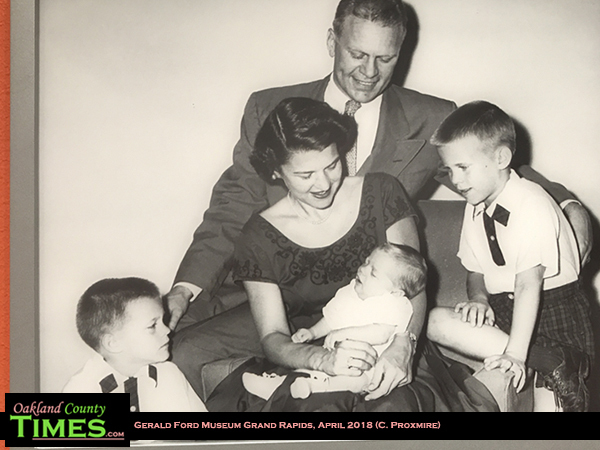 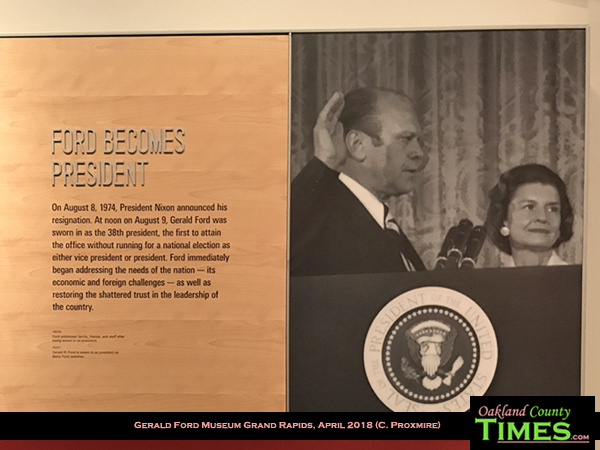 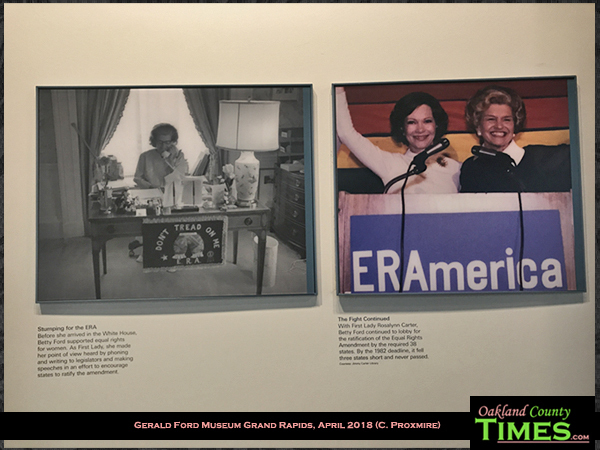 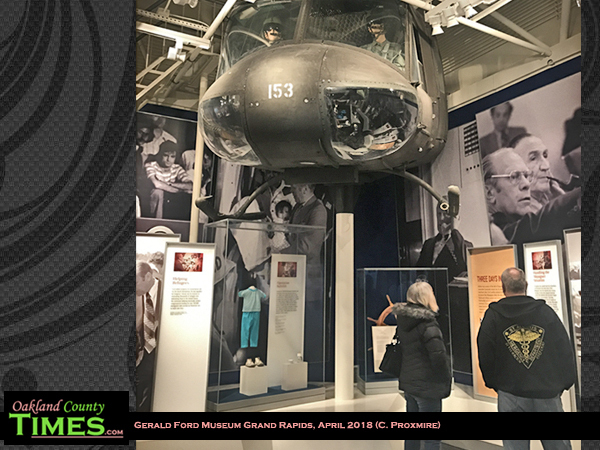 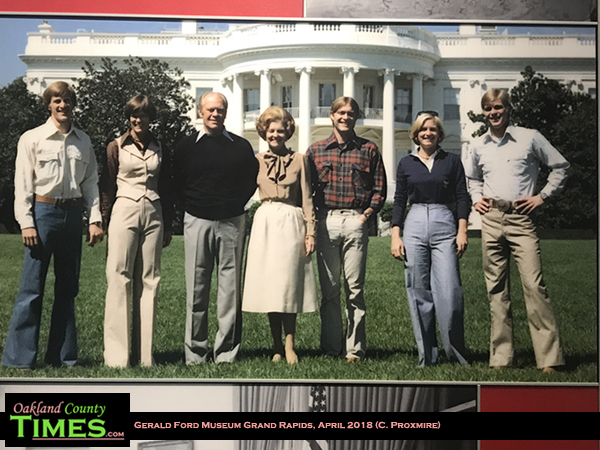 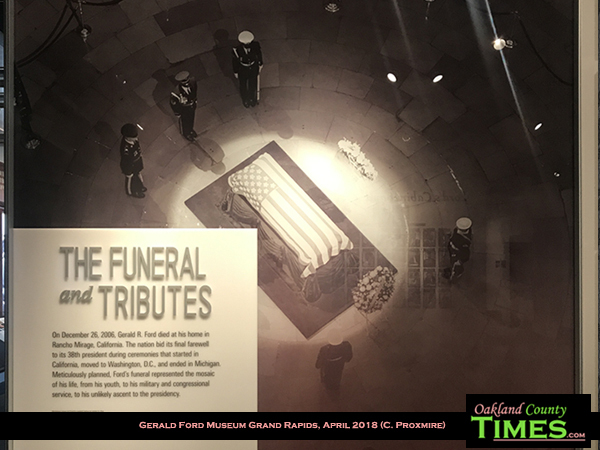 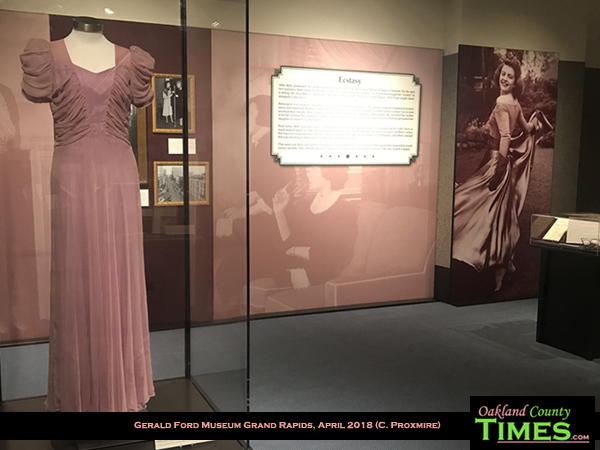 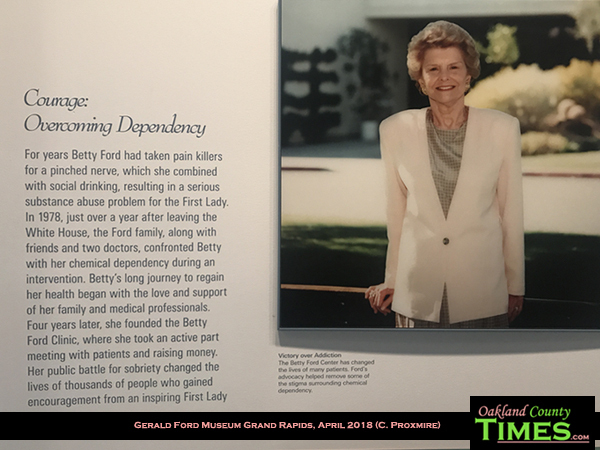 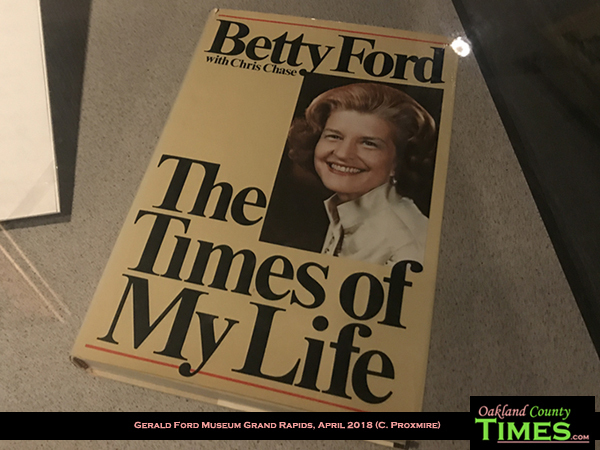 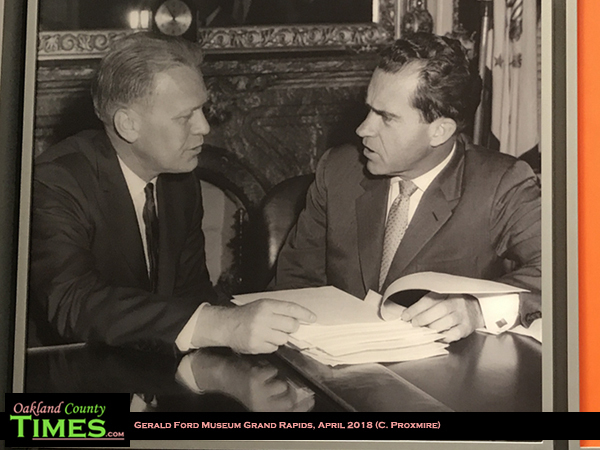 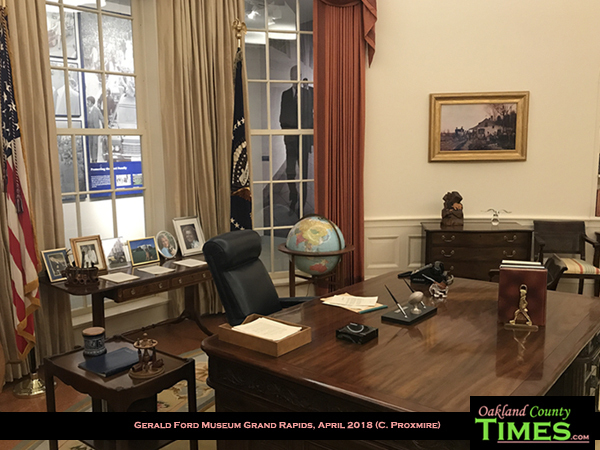 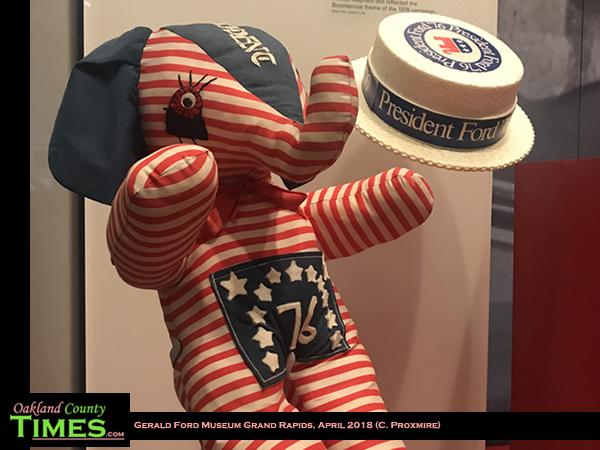 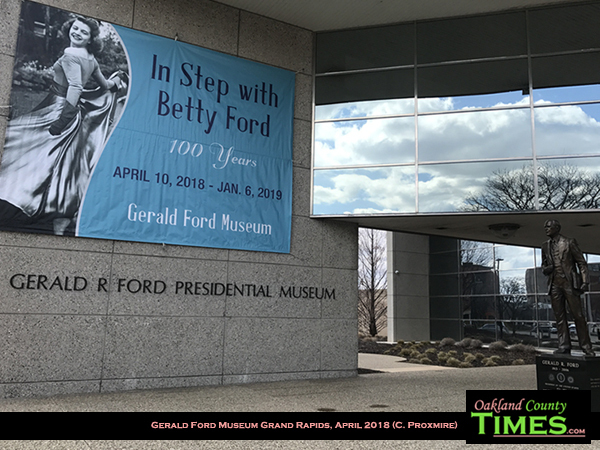 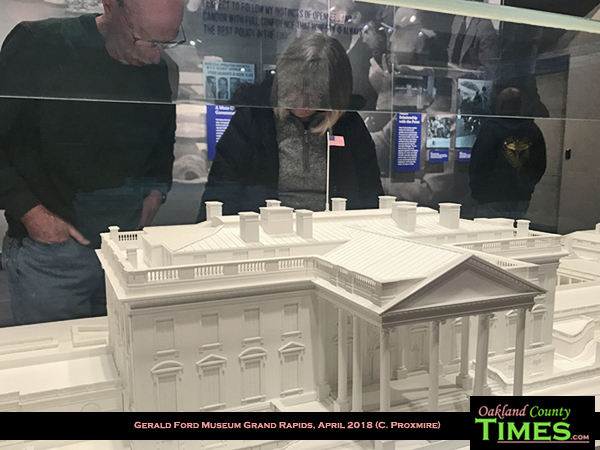 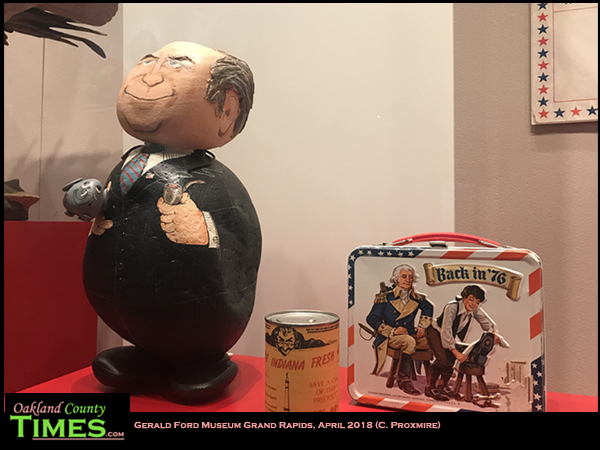 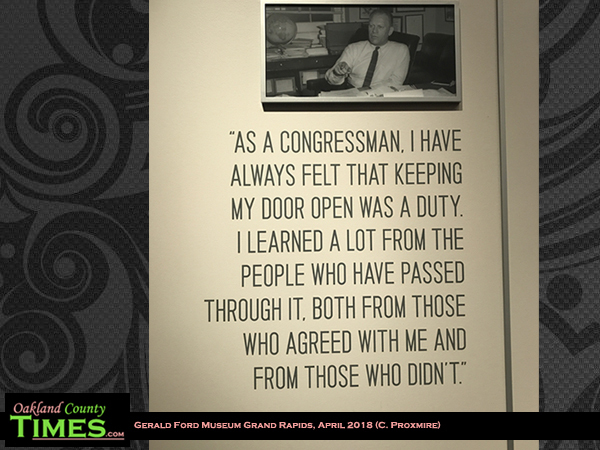 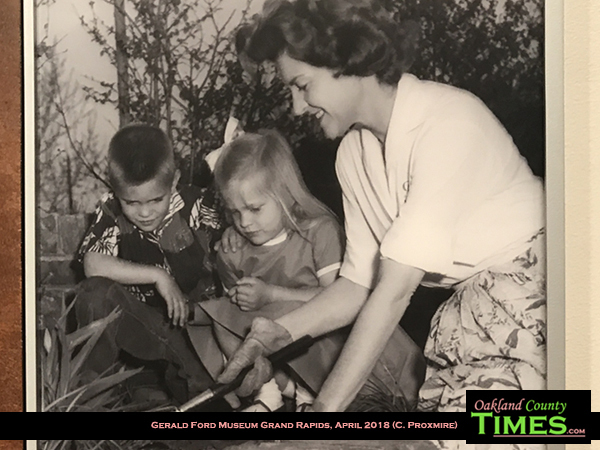 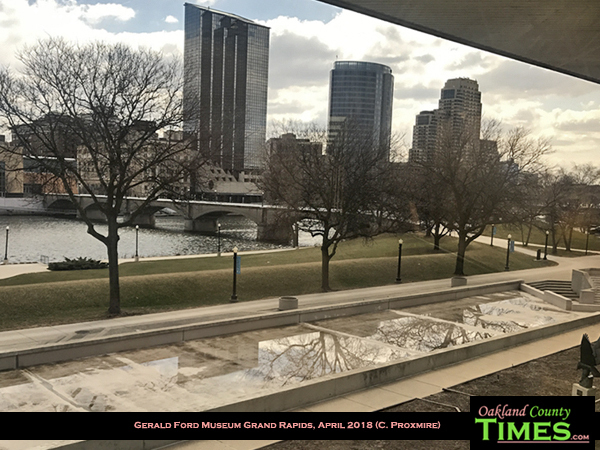 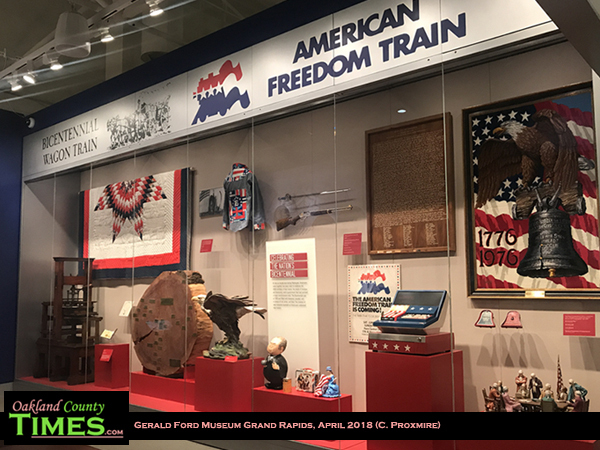 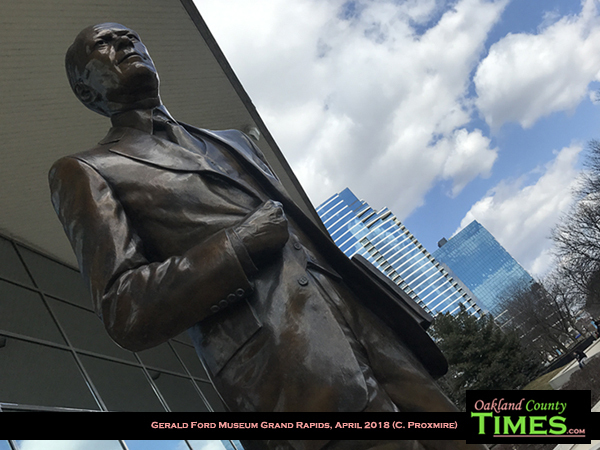 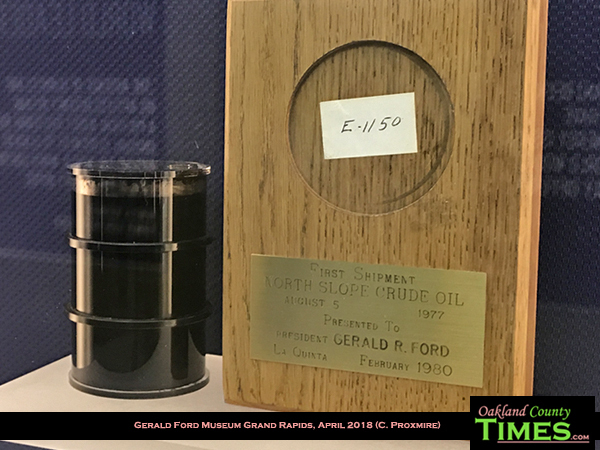 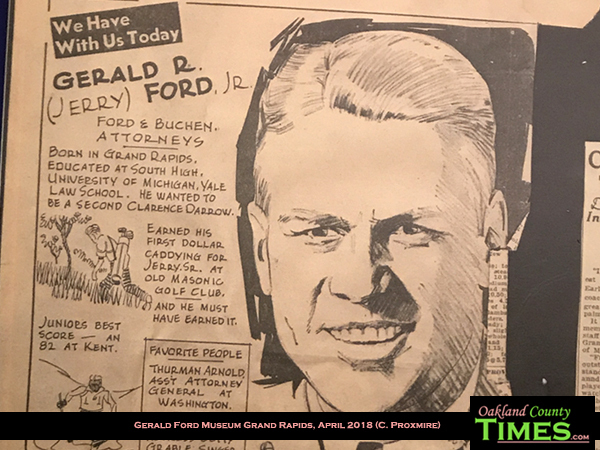 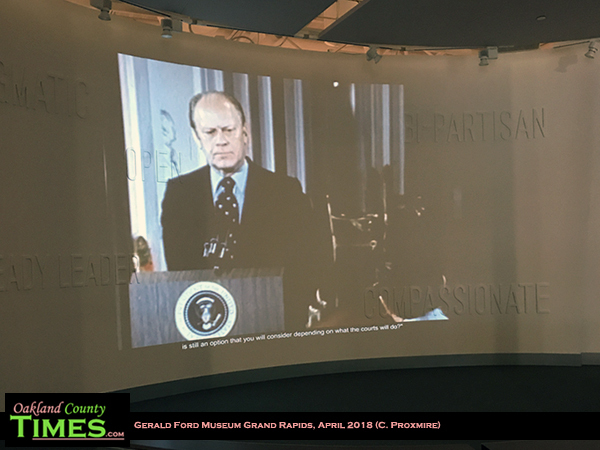 Grand Rapids, MI -Gerald R. Ford was the 38th President of the United States, and his legacy is memorialized in Grand Rapids at the museum of his name. 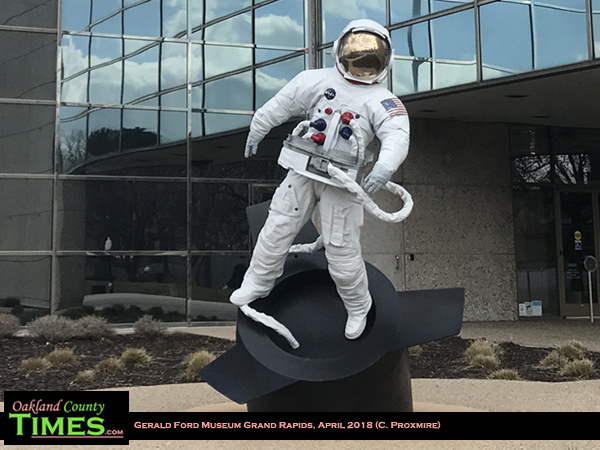 Located at 303 Pearl Street NW, the riverfront building with mirrored walls and an astronaut suit provides guests with historical stories and glimpses at items that are part of history. 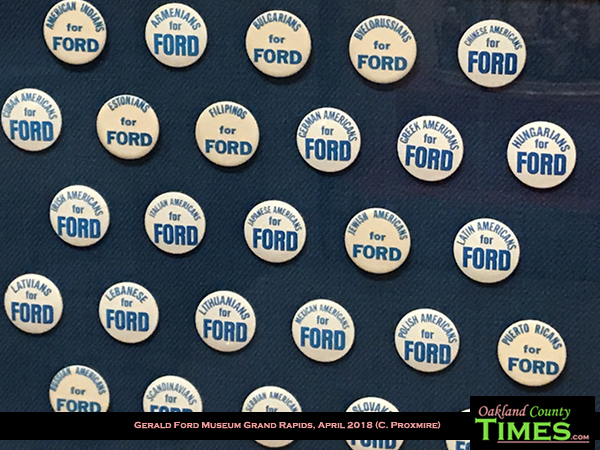 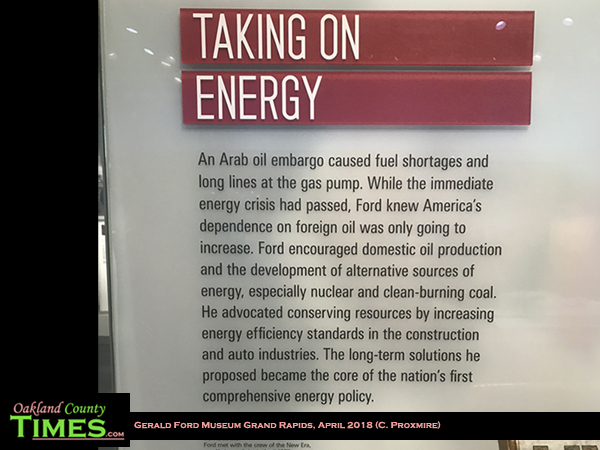 Ford became president in August 1974 after President Richard Nixon resigned due to the Watergate scandal. 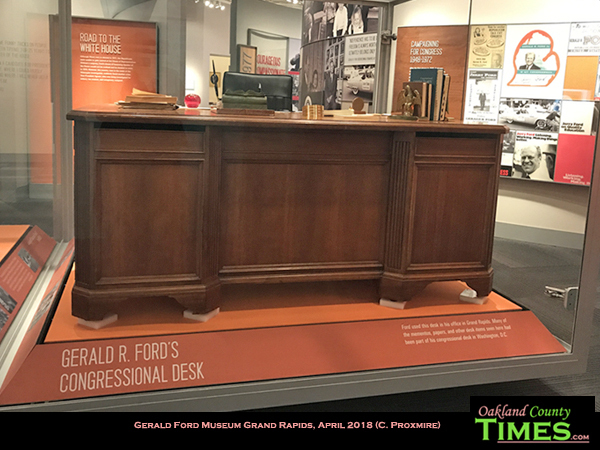 Prior to that Ford had been Vice President and also a Congressman. 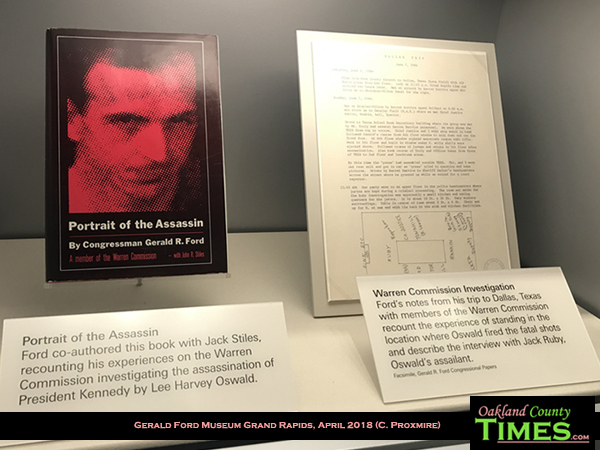 He also served on the Warren Commission which compiled the official report on the assassination of President John F. Kennedy.